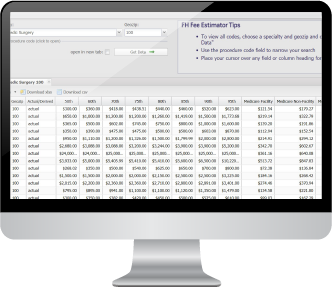 Presented in self-contained modules organized by service type, our benchmarks include data for non-discounted amounts charged by providers and amounts allowed for reimbursement by payors. 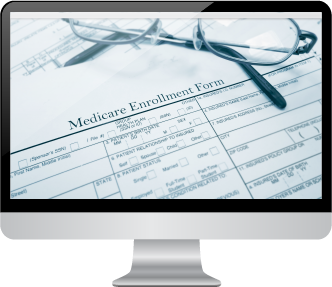 We also offer a tool for Medicare-based reimbursement: a single source for Medicare non-facility fees, with gaps in the CMS fee schedules filled with values developed by FAIR Health. FH Charge Benchmarks Presenting up-to-date, actionable data based on recent claims from 493 distinct geographic regions nationwide, our charge benchmark offerings include medical/surgical, dental, anesthesia, HCPCS, inpatient facility, outpatient facility and ambulatory surgery center (ASC) and Category III modules. FH Allowed Benchmarks Based on the maximum amounts payors allow for reimbursement of provider charges, FH Allowed Benchmarks enable clients to understand in-network payment trends by regional area. FH Allowed Benchmarks include FH Allowed Medical, FH Allowed Dental, FH Allowed Anesthesia, FH Allowed HCPCS and FH Allowed Outpatient Facility. If your organization uses a Medicare-based reimbursement model, how do you determine payment for services that CMS does not value? FH® Medicare GapFill PLUS provides the solution. This website offers easy access to up-to-date, professional fee benchmarks organized by clinical specialty and market area that can help physicians, dentists and practice managers develop strategies to improve the financial health of their practices. 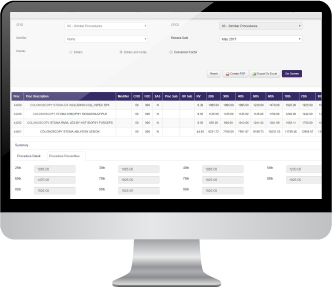 Offering convenient, streamlined access to FH Benchmarks data organized by procedure and geographic location, FH Online enables users to quickly and easily find the data points they need to perform essential business and operations functions.